Valentine’s Day, while a special day for people in love, is also a great opportunity to express feelings. Feelings especially in the form of gifts and cards. But it is no surprise that every one (read girls) wants to feel special this day. How do you make your gift and card special if every dude is doing the same thing? The same heart-shaped box of chocolates and a lame card (with some more hearts). The word is ‘personalise’. Yes, add personalisation to your lame gifts and cards. Women want to see that you have invested your time into what you gift her. Buying and gifting doesn’t cut it anymore – except if you are gifting diamonds or something. So how do you personalise? Make your gifts more meaningful? You can. Using two things—your creativity and QR Codes. QR Codes are a good tool for marketing and promotions. But how can I use them to personalise gifts? Keep reading to know how. 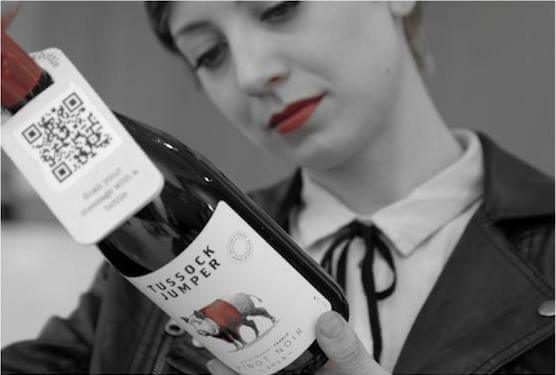 For example, for Valentine’s Day in 2015, Tussock Jumper Wines placed a QR Code on the neck of its wine bottles. The gift giver could personalize the gift (Tussock Jumper wine bottle) by adding a video, voice or audio clip, photos, text, or contact details using a specific app. The recipient of the gift could scan the QR Code using the same app and view the personal message. 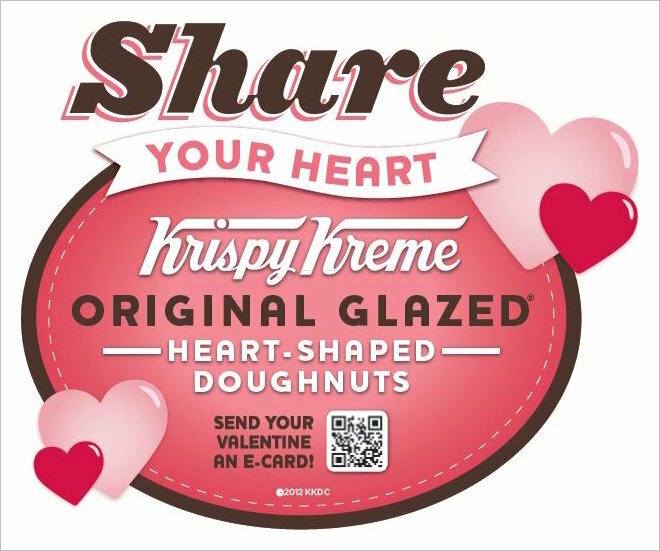 In 2013, Doughnut chain Krispy Kreme added a QR Code on its boxes, which allowed buyers to send a e-card to the recipients packaging. Sometimes you are unable to express your feelings when your partner is before you. You may miss out on a lot of things you wanted to say. But not this time. Impress your partner with a personalised video message. If you are too shy to make a video or just feeling lazy to dress up, a voice message is another good way of saying what you need to say to your better half this Valentine’s. No matter how technology has improved and made it easy to make videos and audio but personal photos have their own importance. Photos can help you and your partner relive past memories that were special. Self-written love letters are never out of style and can melt anybody’s heart. No matter how bad you are at writing. After all, it’s the thought that counts. 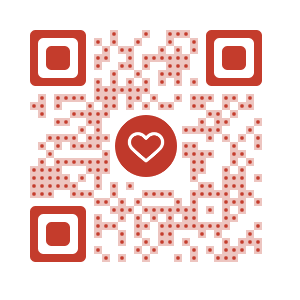 When your partner scans this QR Code, a mobile page with your letter as content will open on the scanning device. You can be more creative and do much more with QR Codes. For example, if you and your partner are game, you can create a QR Code Scavenger Hunt using Google Map QR Codes. You can keep little gifts at different locations (friend’s houses) and add each location coordinates in a QR Code. Paste the next clue (QR Code) on each gift that she finds. What are you waiting for? Get started if you don’t want to spend the whole year ‘forever alone’. Shubhi Mall is a big fan of mobile marketing and passionately writes about O2O technology, SEO, and Social Media. When not writing, she is busy either watching rom-com movies or gardening. Shubhi is a Content Writer with Scanova.